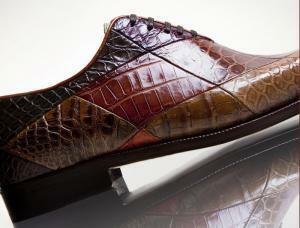 Men who like being top elegant and stylish look for handmade shoes for men and traditional Italian shoe brands. Among the several shoe brands you can find on the markets, Enzo Bonafè is still a very traditional brand, a prestigious hand-manufacturing company where top Italian shoes are produced in relation to your precise demands. The handcraft manufacturing guarantee the creation of comfortable and fashion shoes with classic unmatched style: extra wide width shoes, crocodile shoes for men, ostrich men shoes, all requests can be satisfied thanks to the mastery and special design of Italian Artisans from Bologna, who carry on the tradition of Made in Italy style. Have a look at Enzo Bonafè’s site. Discover the beauty of silky leather, handmade shoe designs, exotic shoes and fascinating classic shapes of incomparable comfort and elegance. Bonafè’s shoes are in Bologna, Florence, in Europe, Japan and USA. You can find Bonafè’ s handmade shoes in the most prestigious window shops where you can ask for the true Italian style fashion. You can find the extraordinary quality of Enzo Bonafe’s shoes exclusively in the following shops worldwide.